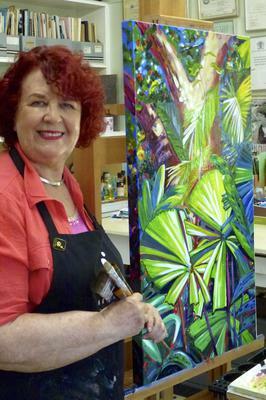 Since coming to north Queensland from the Darling Downs in the 1960s Sylvia has been inspired by the tropical landscape for her art. A freelance fine artist Sylvia is formally trained and her practice extends to industrial design for seating - “Lazy Days” in Kirwan, sculptures for Strand Ephemera - “Lamingtons” and “Beach Bundles”; “Iron Maiden” Thuringowa River Festival. 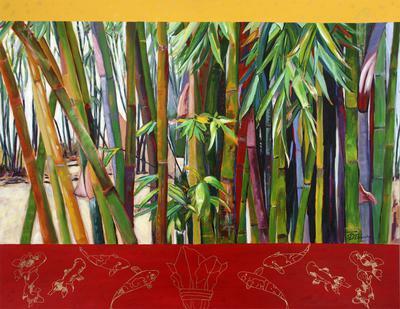 With more than 35 years experience exhibiting her work Sylvia has received over 50 awards for her art, held 50 solo exhibitions and been included in more than 200 curated and invitational group shows. She has also been invited to judge several art competitions in north Queensland and tutor for Cairns Art Escape and Flying Arts. 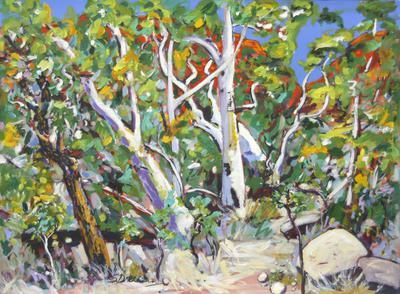 Essentially a plein air painter Sylvia is widely travelled, criss crossing Australia in search of subjects. 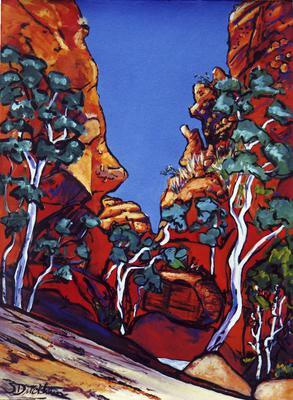 She is well known for vibrant interpretations of north Queensland rainforests and desert landscapes in gouache and acrylic. Her work is much sought after and held in many private and public, national and international collections, including Townsville's Perc Tucker Regional Gallery, Gold Coast Regional Gallery, James Cook University, Artbank, Arthur Boyd's Bundanon Trust, Tomsk Regional Museum Russia, Foshan Art Gallery, China and Olympic Fine Art 2008 collection Beijing. Sylvia continues to develop her art and expand her audience. In 2013 Sylvia was invited to show her work in New York at Agora Gallery. Sylvia's boutique gallery SYLVIA DITCHBURN FINE ART GALLERY at shop 7 Metro Quays, 86 Ogden St, Townsville opened in 2008 and continues to flourish, featuring her work, themed group shows and selected artists. I was elated when I saw your paintings. So colorful and inspirational. Maybe I'll try such a challenge - someday. In the mean time I'll concentrate on Rural America and light houses.